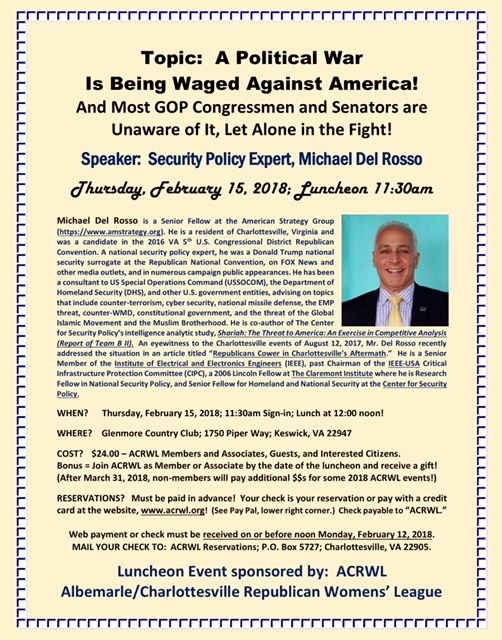 Speaker: Michael J. Del Rosso Topic: A Political War is Being Waged Against America, and Most GOP Congressmen and Senators Are Unaware of It, Let Alone in the Fight. This is a great place organize an event; the venues in NYC have great staff and great events put on here! I had nothing but great times and great conversations there. They served slider and shrimp cakes as appetizers with chicken skewers, and eggrolls that had veggies on the inside and some kind of creamy fruit sauce on top.